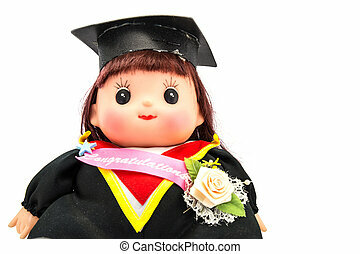 Graduation girl. 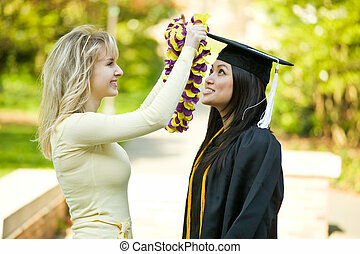 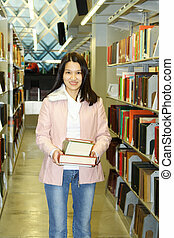 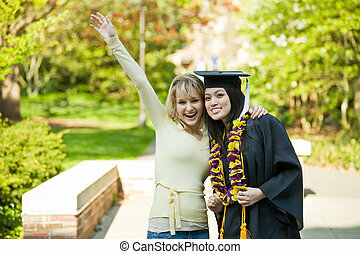 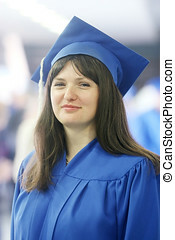 A happy beautiful graduation girl holding her diploma. 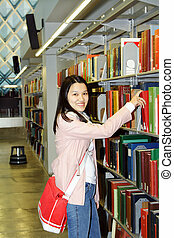 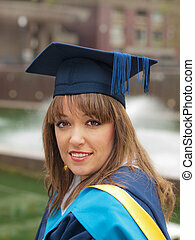 Close uo of smiling college graduation girl looking at the camera. 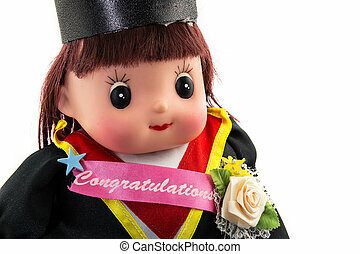 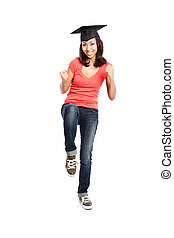 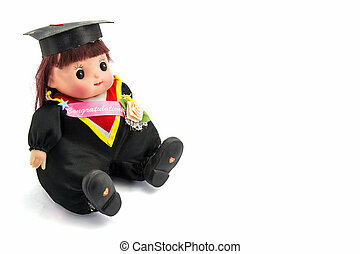 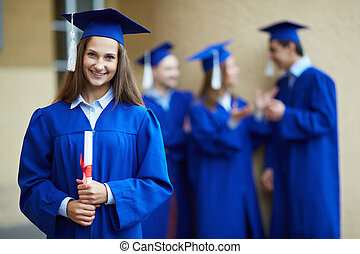 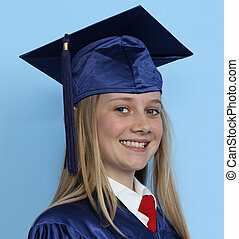 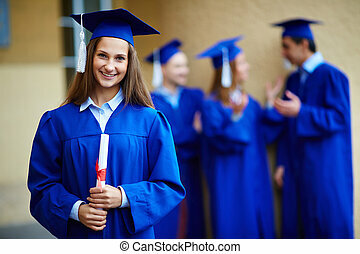 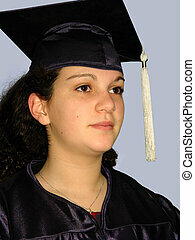 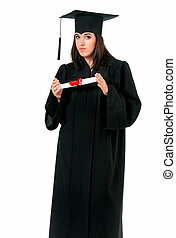 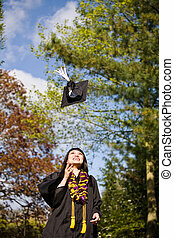 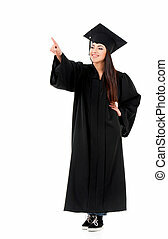 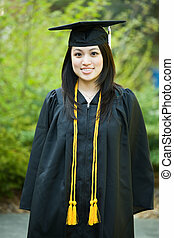 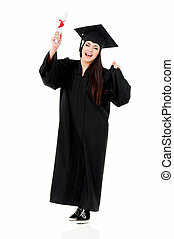 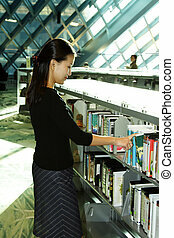 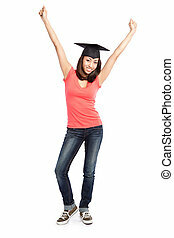 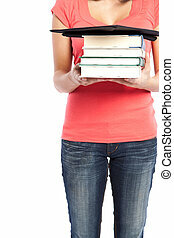 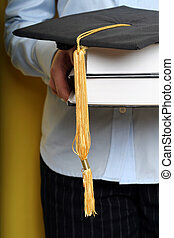 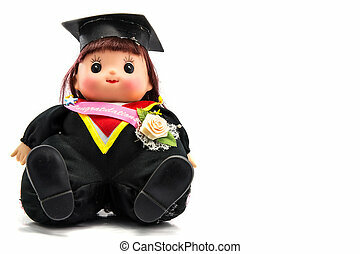 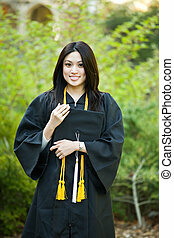 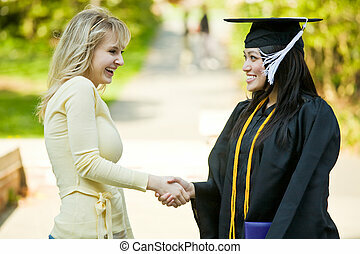 A girl wearing a graduation outfit, against a blue background.